Mike Moore | The Journal Gazette Mad Ants rookie forward Travin Thibodeaux drives to the basket against the Wisconsin Herd at Memorial Coliseum on Tuesday. 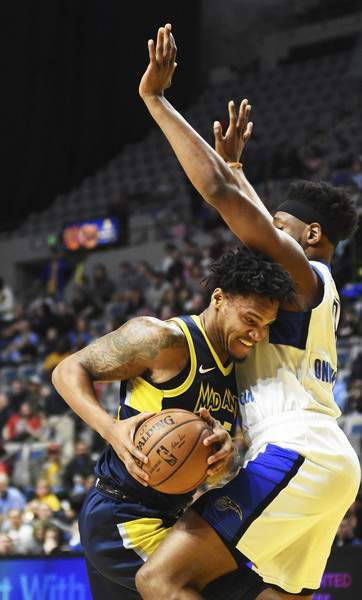 Katie Fyfe | The Journal Gazette Mad Ants forward Travin Thibodeaux drives to the basket while Lakeland Magic's Reggis Onwukamuche tries to block him at Memorial Coliseum. Mike Moore | The Journal Gazette Mad Ants forward Travin Thibodeaux dives for a loose ball against the Wisconsin Herd at Memorial Coliseum on Tuesday. 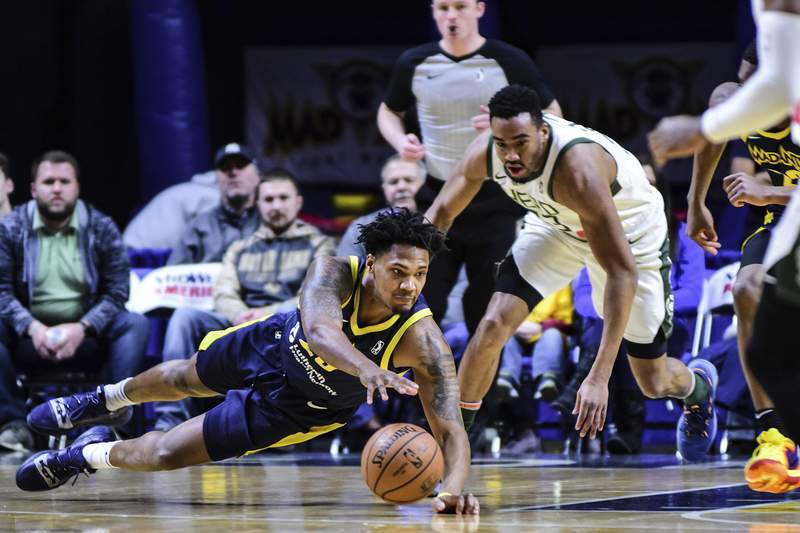 “He doesn't get a lot of credit, but he keeps working and has been a bright point of our young guys this year,” said coach Steve Gansey, whose Mad Ants (23-26), made up of mostly rookie and second-year players, finish the season at 7 p.m. today against the Grand Rapids Drive (26-22) at Memorial Coliseum. 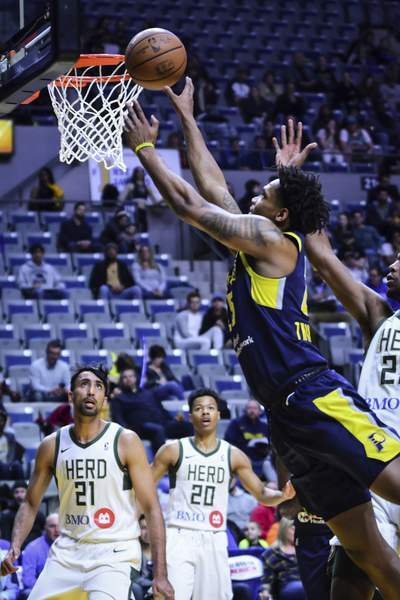 Over 32 games with the Mad Ants, Thibodeaux has averaged 6.1 points and 5.8 rebounds, and he has developed into the player who does the little things that often go unnoticed – grabbing rebounds, setting picks and playing physical basketball to open things up for his teammates. “He's our most physical big other than (Indiana Pacers prospect Alize Johnson). He does all the dirty work,” said Gansey, whose team defeated Wisconsin on Tuesday at the Coliseum and won Thursday at Greensboro, North Carolina.